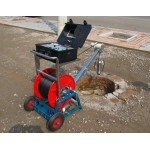 This Water Well Downhole/ Borehole Camera is a great combination of modern technology and affordable price. 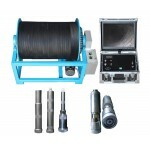 It is well suited for inspecting various reservoirs, wells, borehole, downhole, shafts, pipes, tanks and other objects from the top down. 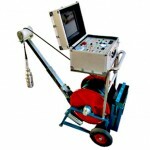 It is equipped with a Ø90mm PT camera head and a Ø70mm panoramic camera head enabling operators to receive a complete detailed image of the inspection area. 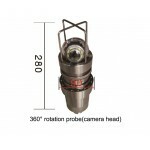 The Ø90mm PT camera head supports 360degree pan rotation and 180 degree tilt rotation, and it is equipped with CCD sensors and 24pcs high-output long-lasting LED light allowing for capturing bright and detailed images even in poor lighting environments. The Ø70mm panoramic camera head is with 130 degree view angel, and it is equipped with CCD sensors and 16pcs high-output long-lasting LED light. 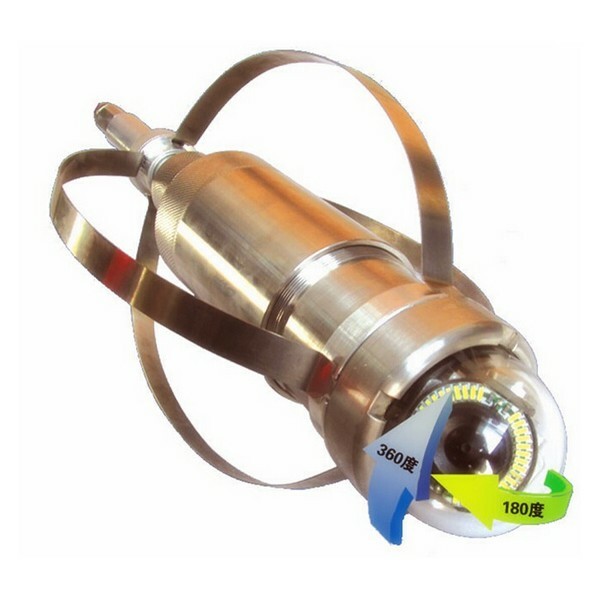 The downhole camera heads are IP68 waterproof and withstand pressure up to 150 bar in water. 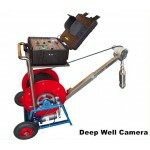 The Downhole Camera features a compact control unit with a high-resolution 12” LCD display. The inspection process can be viewed on the display right on site, captured as snap shots in JPEG format, or as video files. All data can be saved on 8G SD card(Maximum 32G). 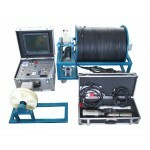 The user-friendly interface offers various operation features, such as,the depth sensor, the winch operating knob, rotation control and so on. 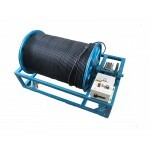 The system works with Ø8.2mm modified polypropylene cables(6 wires inside, which can bear 220KG) of different lengths (from 300m to 800m) that can be securely coiled on an electric operated reel. 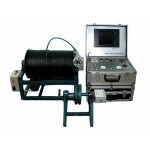 The motorized winch allowing for winding the cable up and down with different speeds(when 220V power supply), and the winch also can control by hand. Besides inspection findings, users can view depth, the depth accuracy reach to 0.05m and it supports depth reset. 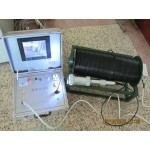 Second, the repair is very easy, most of the customers can repair by themselves. 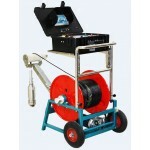 We judge the problem acoording to your info(video, picture or description), and send you the repair video or info. 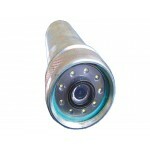 Third, you can also resend the problem part back to us for free repair, we will send it back to you after we fix it. 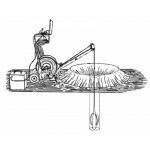 Forth, all the products are lifetime maintenance.